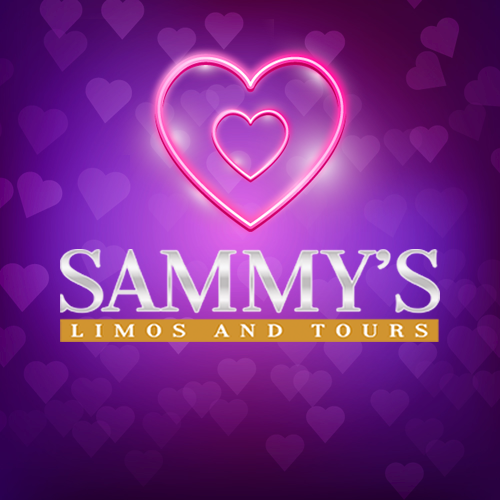 Happy Valentine’s day from all of us here at Sammy’s Limos. We hope you’ve got something special planned for that lucky someone in your life, but the treats don’t need to start and finish on the 14th! If you’re looking for a five star experience to really dazzle your lover, Sammy’s Limos will purr the engine on your relationship like no other. 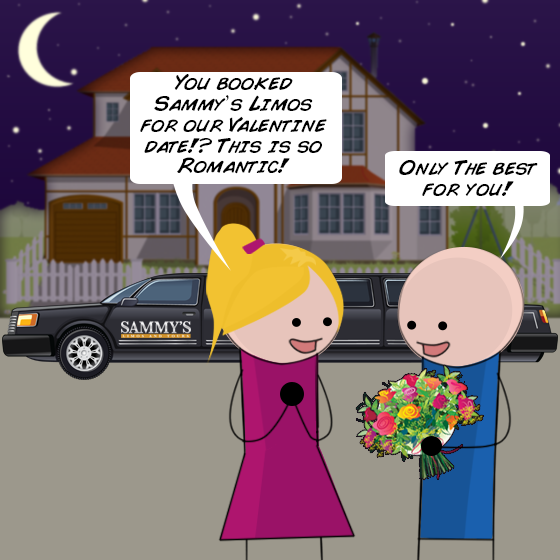 Whether you and your date would like to arrive at a restaurant or club in A-list fashion, have the most luxurious cruise around town of your life, or stretch out in supreme comfort on a decadent and romantic ride to watch the sunset, Sammy’s Limos can deliver in style on all fronts. And if Valentine’s Day is just a short distance away from the sound of future wedding bells, our fleet can provide the finest in luxury transportation as you celebrate the most special day of your life. Looking for something other than romance? Got a birthday planned with friends and want to make it a wild night to remember? A chauffeur will help you make a big impression on prom night with a grand entrance, and can put the icing on the cake at your graduation by arriving with flair. Our wide range of limousines will make it all possible at prices that won’t break the bank. Sometimes traveling in sleek and sumptuous style doesn’t even need to be a special occasion, but just an added, comfortable treat to the day. We can drive you anywhere in smooth, pleasurable style, and our airport transfers will make your travel experiences free of stress and full of satisfaction, with a door to door service that includes baggage assistance from a professional chauffeur. Our exquisite fleet includes 4 passenger luxury sedans, 6 passenger Executive SUVs, 6, 8, or 10 passenger limo / limousines, and 9 passenger executive vans. With capacity to suit all needs and prices to match, get in touch with Sammy’s Limos today and discover an unparalleled luxury transportation experience. Call (805) 963-8294 for pricing. About Sammy’s Limos: Sammy’s Limos has been in business since 1992. We have the experienced limo drivers to get you where you need to go in comfort and style. We’d love to be part of your Holiday festivities, and it will be an experience that you will remember. Take the time to visit our website and like us on Facebook. Be sure to give us a call at 805-963-8294 and let us pick you up on your special day!